Brand New American Buffalo Silver Silver Round (Private Mint) .999 Silver. 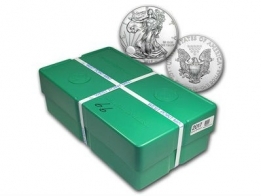 Each coin contains one ounce of 999 fine investment grade silver bullion. The front of the coin features an image of a Native American Indian, and the reverse of the coin features the American Buffalo. 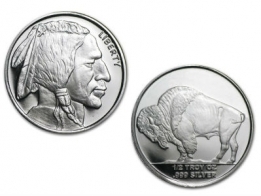 The silver Buffalo coin is produced by several mints, and as such the design varies slightly. 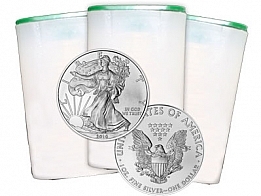 These coins are particularly popular for silver investors, due to their low premium. The design of the silver Buffalo round is inspired by the 1 Oz gold Buffalo coin that is manufatured by the US Mint. The US Mint does not manufacture a Buffalo coin in silver. These rounds do not come with a legal tender value. Silver rounds are sold at a lower premium to silver coins, and are therefore popular with silver investors looking to buy low premium silver.